Posted by Dave Emory ⋅ April 1, 2014Post a comment Email This Post Print This Post Tweet This! The corporate logo of I.G. Farben. COMMENT: It is comparatively rare to see articles in the mainstream press mentioning the profound support for Nazi Germany among American industrialists, financiers and political elite. A rare instance is a recent Daily Mail article from the UK. In addition to discussing the links between the Thyssen industrial empire and the Bush family, the broadcast underscores I.G. Farben’s decisive role in the German war economy and its links to the largest American corporations. In addition, the article mentions America First, an isolationist lobby that was subsidized by German intelligence. A prominent member of that organization was Gerald Ford, later a member of the Warren Commission. Another member of the Warren Commission was Allen Dulles, mentioned in this story for his work for Sullivan Cromwell. Concluding with the wrist slap given to I.G. Farben after the war, the program notes that John J. McCloy was instrumental in the early release of those I.G. executives who received even light sentences. McCloy, too, was a member of the Warren Commission. “The Spying Scotsman who Hunted the Nazis of New York: The Amazing story of Britain’s Clandestine War on Hitler’s Agents… and His Big-Money Backers in the US” by Adam Lebor; Daily Mail [UK]; 12/28/2013. EXCERPT: . . . . There was open sympathy for the German cause and it extended to the very top of American society. Sullivan & Cromwell, a powerful New York law firm, brokered numerous deals between American business and the German companies that helped bring Hitler to power. The partners included John Foster Dulles, who later became Secretary of State, and his brother, Allen Dulles, America’s wartime spymaster, who became the first head of the CIA. Standard Oil, founded by the Rockefellers, was entwined with IG Farben, Nazi Germany’s most powerful conglomerate. Brown Brothers Harriman, the oldest private bank in the United States, was connected to Fritz Thyssen, the German steel magnate who had financed Hitler. Thyssen ran his American business through the Union Banking Corporation, based in New York. 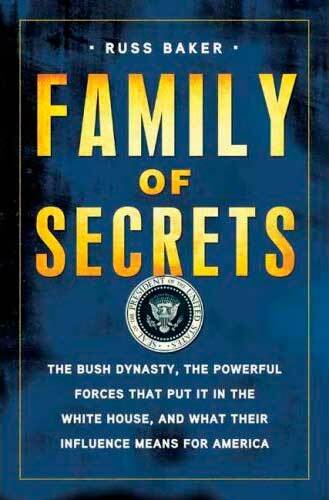 Its directors included Prescott Bush, father of President George Bush and grandfather of President George W. Bush. Henry Ford, founder of the Ford Motor Company, was the author of the anti-Semitic pamphlet, The International Jew. He received a medal from Nazi Germany in 1938. Hitler kept a portrait of him in his office. . . .
. . . . At its peak, the America First Committee, the most formidable isolationist lobbying organisation, had several hundred thousand members, including future President Gerald Ford. . . .
. . . . As the War ended, MacLaren went to Germany to build a legal case against IG Farben executives. He submitted a series of lengthy memos on the company and its leaders who, said MacLaren, embodied the dark nexus of German industry and the Nazi war machine. MacLaren argued, with remarkable foresight, that the way the Allies dealt with IG Farben would determine the economic balance of power in post-War Europe. ‘We are dealing here … with denazification and demilitarisation of the heart and soul of the German war machine,’ he wrote. In 1947, 24 senior IG Farben officials were tried for war crimes. Thirteen were found guilty. Their sentences were derisory. Hermann Schmitz received four years for ‘plunder’. All IG Farben executives were released by 1951 on the orders of John McCloy, US High Commissioner for Germany. Schmitz and his colleagues were warmly welcomed back to the German business world. The Cold War meant revitalising German industry was more important than punishing those complicit in mass murder. IG Farben no longer legally exists. It was broken up into its constituent companies. But they are more powerful than ever. BASF is now the world’s largest chemicals company, with annual sales of almost €80 billion. Bayer is the world’s biggest producer of aspirin. . . . But will we ever see an article like this in the AMERICAN mainstream press? I’m not going to hold my breath while I wait. So come on people. Learn all you can and pass it on any way you can.